In its latest monthly shipping index, Skelton Sherborne reports that machinery import volumes in Australia in April decreased significantly by 12 percent to 2,351 units. 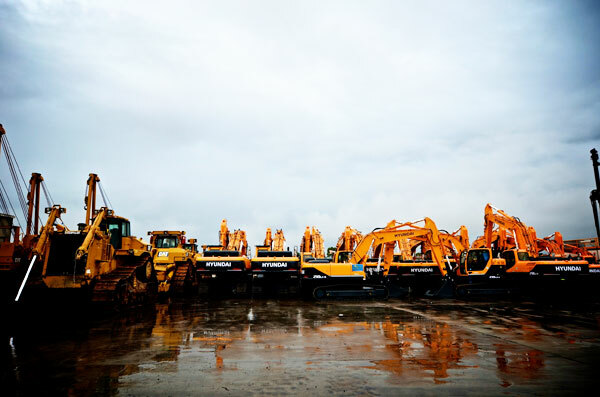 While mining equipment imports are proving to be resilient, the Australian project forwarder is seeing declines in construction equipment. With used equipment, volumes are also in decline with customers reporting a range of factors including demand causing them to slow down their activity. The recent weakening of the Australian Dollar has also caused some clients deals to become unfeasible. In a change to the manner in which it has collated previous indices, the company has decided not to include the “Road making/paving & other public works equipment” category any longer in the index. This category includes many small and sometime handheld paving and concreting equipment. This has caused volumes in this category to occasionally fluctuate greatly and thus on some months it can skew the overall volume result across all categories too much. Skelton Sherborne also noted a decrease in tyre volumes for the month of April.